Blair Eadie in her bomber jacket (buy her exact jacket from Shopbop, here) / another swimsuit! Personally my favourite bits are the green ones, but the prints seem to be popping in all sorts of colours - and the accessories (like the Edie Parker one below) are super fun. 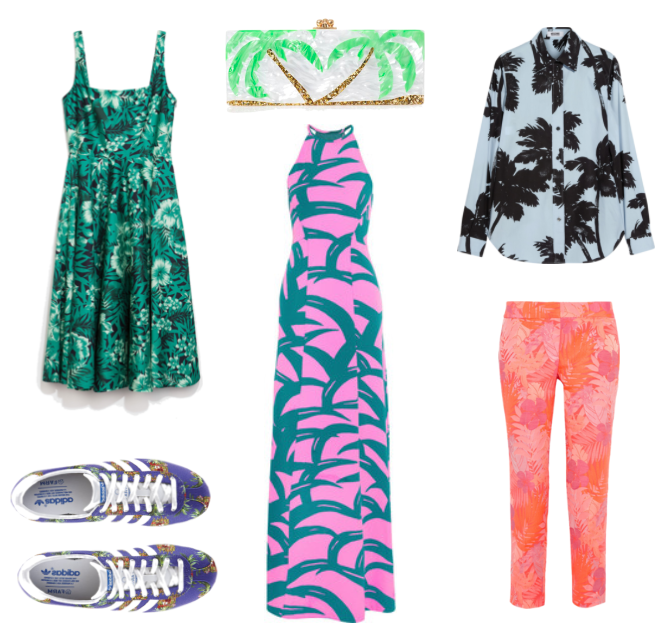 It's sort of a Hawaiian feel but somewhere not prim - not just for surfer dudes or post-beach outfits. ASOS have tonnes of the prints, but as they don't have flat cut images on their site I couldn't include them on the boards; check out this (reduced from £131 to £20!) and this if you're after something for a teeny price. Anything to keep up hope of summer, right? 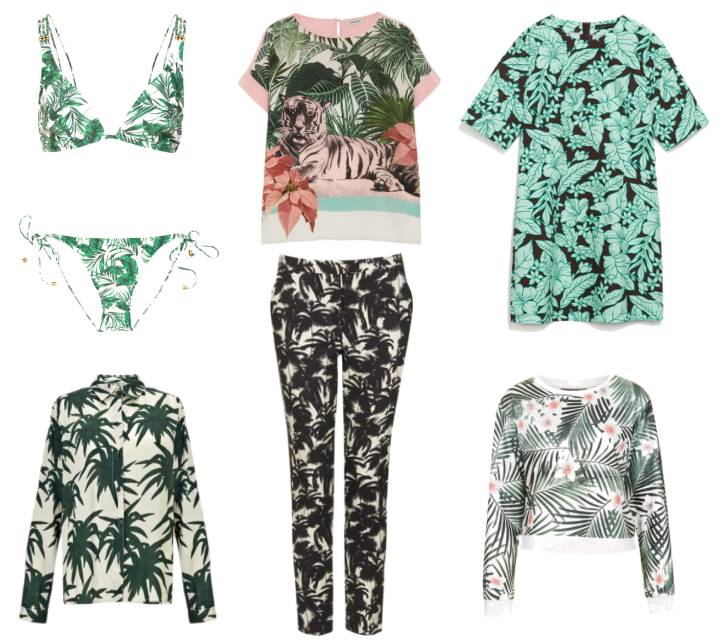 The prints are so pretty and fun I have Palm tree blouse!! The first look is my favorite !!! Absolutely love this blog post - I'm still obsessed with this print after visiting BHH last August!